London and the West End are full of incredible musicals and plays – but these can be quite expensive. 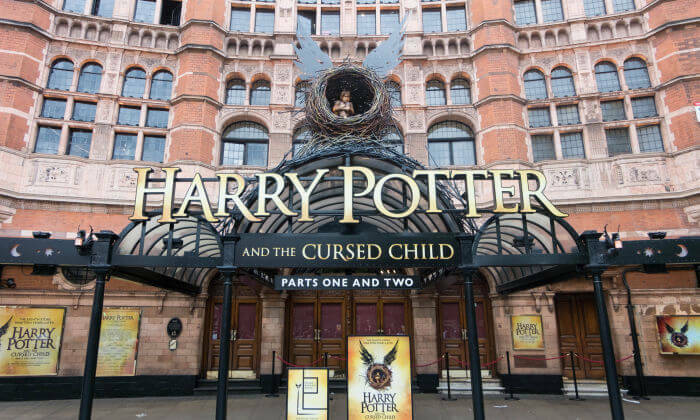 There are, however, ways to get discounts – from coupons to lotteries, vouchers and seat-fillers – here are the best ways to save on London theatre tickets. I love going to musicals. Ever since I moved to London, I’ve been to more musicals in a couple of years, than I have been in my entire life before that. From The Book of Mormon which made me laugh-out-loud, to The Lion King which is such a great spectacle. Then there are theatre plays and comedies, and… the list is endless. There’s good news, however – if you know where, when and how to look – there are almost always discounts to be found. After seeing so many musicals in the past three years – I don’t think I’ve paid full price even once. 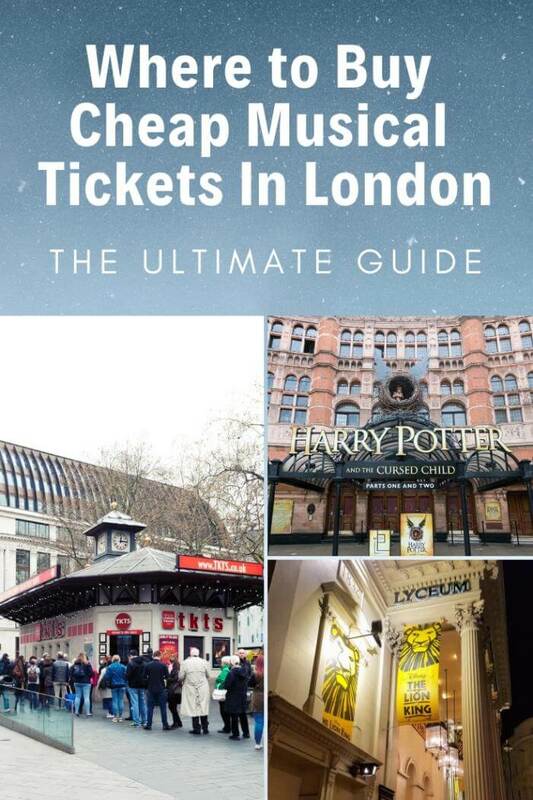 So here are my best tips and tricks for getting cheap musical and theatre tickets in London. Always Compare Ticket Sites: You’ll be surprised at the difference in ticket prices across the various ticket sites, stores, and the theatres themselves. While many presume tickets will be cheapest if you buy them from the theatre itself, that is often not the case. If you decide you want to see a specific musical/play, check the ticket prices on at least 2-3 websites, and the theatre’s own website. 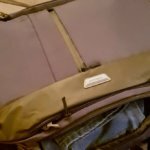 Later in this article, I recommend some of the cheap websites I usually buy from. Beware Ticket Booking Fees: Some ticket selling sites take booking fees (usually a few pounds for each ticket), so in most cases, you’re better off finding a site (or the theatre itself) that sells the tickets without booking fees. But don’t forget to compare prices – sometimes, you’ll find a deal where the ticket is still cheaper than other places, even AFTER you add the booking fee. Besides, with many London theatres still having inadequate air conditioning, you’re also likely to have a better time in the winter months. Tickets Cost Less In The Middle Of The Day/Week: Weekend evening shows are usually the most expensive. If you’re able to go to a show in the middle of the day – and in the middle of the week (if it’s available) – it’ll usually be cheaper. The Super-Popular Shows Have [Almost] No Discounts: Remember what I said about high demand? Well, the super-popular shows (Harry Potter and The Cursed Child, Hamilton and even The Book of Mormons that’s been around for years – to name a few) always have high-demand, even during the winter months. So you’re not likely to find deals and major discounts for these shows. However, there’s no reason to pay more than you should – so make sure you still compare different sites, to find the lowest possible prices. 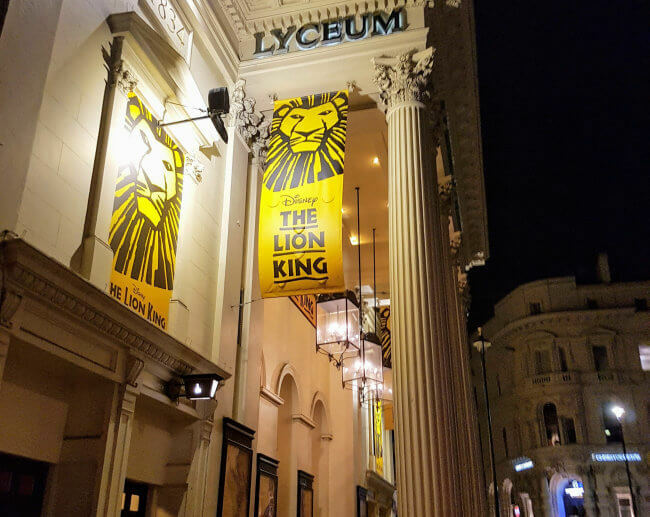 Check Seat Reviews On Theatremonkey: When I look for cheap theatre tickets – and I’m willing to compromise on where I’m going to sit – I always go to check seat reviews on Theatremonkey. Don’t let the dated look of their website turn you away – it’s a site that reviews theatre venues, and seats in particular. So, when you see cheaper prices for a back row, for example, you can check what Theatremonkey says about that row in that particular theatre – will your view be blocked, will you have no room for your legs, and does the lower price justify all that? Beware Rogue Ticket Stores – This is true with both suspicious websites and questionable tourist-traps around Central London. If you buy from a website or a booth you’re not sure about, always check whether they’re part of STAR – The Society of Ticket Agents & Retailers. (You can double-check members directly with STAR via their website). 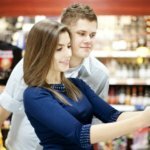 I’ve heard stories of people who bought from questionably stores and booths, only to discover later that their tickets were invalid – so be careful. 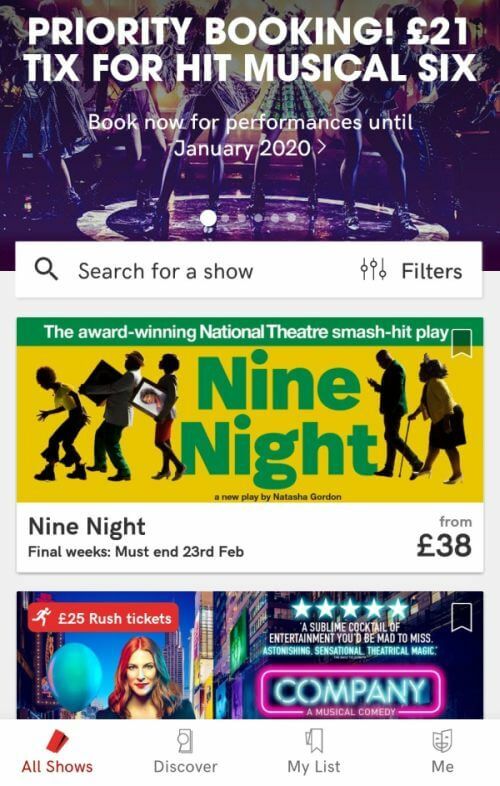 If you enter “Cheap theatre tickets in London” into Google, you’re likely to get lost – there so many websites and places that sell tickets these days, that it’s hard to find your hands and feet (not to mention the cheapest prices). If you’re willing to be a bit spontaneous – you might find some super-cheap tickets at the theatre’s box-office, on the day of the performance. After all, theatres don’t want empty seats – so they’re willing to give big discounts if they see they have a lot of empty seats left for a particular performance. The TodayTix app/website is usually my first port of call when I’m looking for cheap musical/theatre tickets. They offer “last-minute” (up to 30 days ahead!) discounts on full-priced tickets, often for some of the best seats in the house. The discount rates vary between shows and days – I’ve managed to buy £10 tickets that were sold for £40 elsewhere. But even when the discounts aren’t that deep, you can find some real bargains. And while you can’t directly pick your seats – you will be shown in advance which seats you’re getting, so you can decide whether they’re worth the money. TodayTix also offers “Rush Tickets” – a limited number of super-cheap tickets for a performance, which you can only get if you’re fast enough (AND they make you share a note about the show on social media, in order to get Rush Tickets). 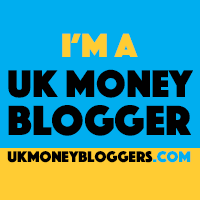 While they’re not ALWAYS the cheapest place around – I’ve personally bought most of my discounted tickets through them – so always check there first. Find TodayTix London here. 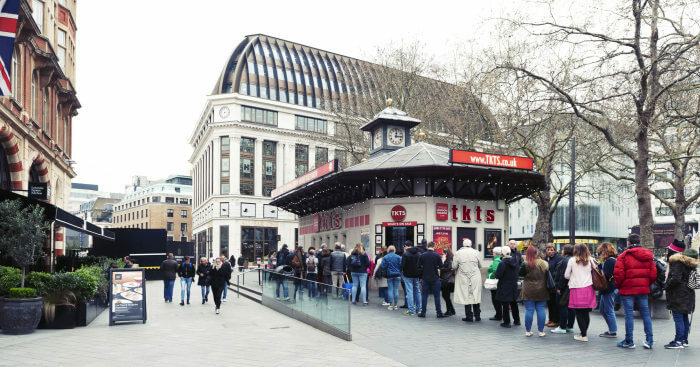 A popular way for tourists to get cheap musical and theatre tickets in London is via the famous TKTS booth, located in the heart of Leicester Square. You do get some impressive discounts on occasion, though sometimes, bizarrely, the tickets cost MORE than they do at the theatre. While you can’t buy the tickets online or over the phone, you can at least check what’s available via their website. Of course, by the time you reach the booth – availability may change. Some productions offer “Ticket Lottery” schemes: you register via a form on the official website (or, for some, via the TodayTix app), and then you’re entered to win a limited number of heavily discounted tickets – usually around £20 (for tickets that might otherwise cost £50 to £100). Some lotteries actually make you come to the theatre itself and enter the lottery there – so check for each individual show. These lotteries are a way for theatres to bring in new audiences – often people who won’t (or can’t) normally pay the regular high prices. Even some of the biggest West End shows and musicals offer these daily/weekly lotteries – from Hamilton (register here) to Matilda (register here), Aladdin (register here), and many others. If you win, you usually have a very limited time to actually buy the tickets (once you get notified by e-mail) – so be on your toes. Central Tickets is a bit different – once you become a member (membership is free), you start getting notifications of “secret” seat-filling tickets to comedy shows, plays, concerts, and on occasion – even big musicals. You only pay the admin fee (that’s what Central Tickets themselves take), which is £4 for the smaller shows, and £6 for the big ones (and sometimes, for very last-minute shows, even the admin fee is waived). What are seat-filling tickets? Well, when producers see that some seats are going to remain empty, they want to fill those up – even if it means giving out free tickets. However, they don’t want the people who actually bought tickets to KNOW that people sitting next to them paid nothing – so… you’re not allowed to talk about it while you’re at the show. There are several other strict rules, like not being allowed to cancel tickets more than three times a year (because then seats will remain empty, which defeats the whole purpose), and not being allowed to mention on social media that you’ve seen a particular show via these type of tickets – but if you follow the rules, you can find some real bargains. You can join Central Tickets via this link. If you travel into (or within) London by train, you can take advantage of the Days Out promotion: by showing your train ticket, you can buy 2for1 tickets to a lot of London attractions and events. Among those, you can sometimes find musicals as well. The 2for1 promotion is geared more towards attractions, so you won’t find a lot of theatre offers – but they do exist. Also, note that you need to pay full price for the first ticket – and then get an identical one for free – so sometimes you might find two discounted tickets for less, elsewhere. Check out what’s available via this link. Before theatre shows and musicals start their “official” run, some do a run of “Preview Shows”. Think of it as the beta version of the show – the actors are still settling into their roles, and the production is looking closely at the audience’s reaction, so changes might still be made ahead of the official launch. Which is why tickets to preview performances are cheaper – so you can grab major discounts, days before prices jump up considerably. However, finding theatre previews is a bit tricky – you’ll have to keep your eyes and ears out and regularly check the ticket websites or the theatre’s own website. 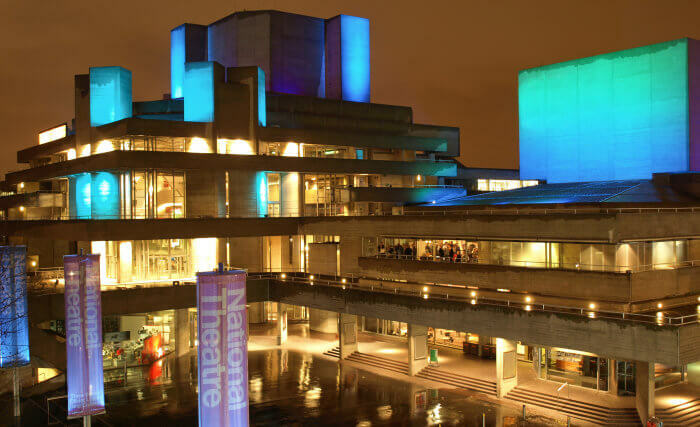 For every National Theatre performance, there’s a limited number of Entry Pass tickets – so you need to book ahead. You can find register via this link. Shakespeare’s Globe, the impressive reconstruction of the old Globe Theatre, has an ever-changing program of shows based on Shakespeare’s plays. If you’re willing to stand (sometimes for up to 2.5 hours! ), you can buy a ticket for just… £5. Not everyone’s up for it – but it can be an adventure. Find out more on their official website. There are a lot of websites that promise cheap London theatre tickets out there. Some… shall we say… definitely overpromise. And some are better – however, as mentioned, always compare prices on different sites.